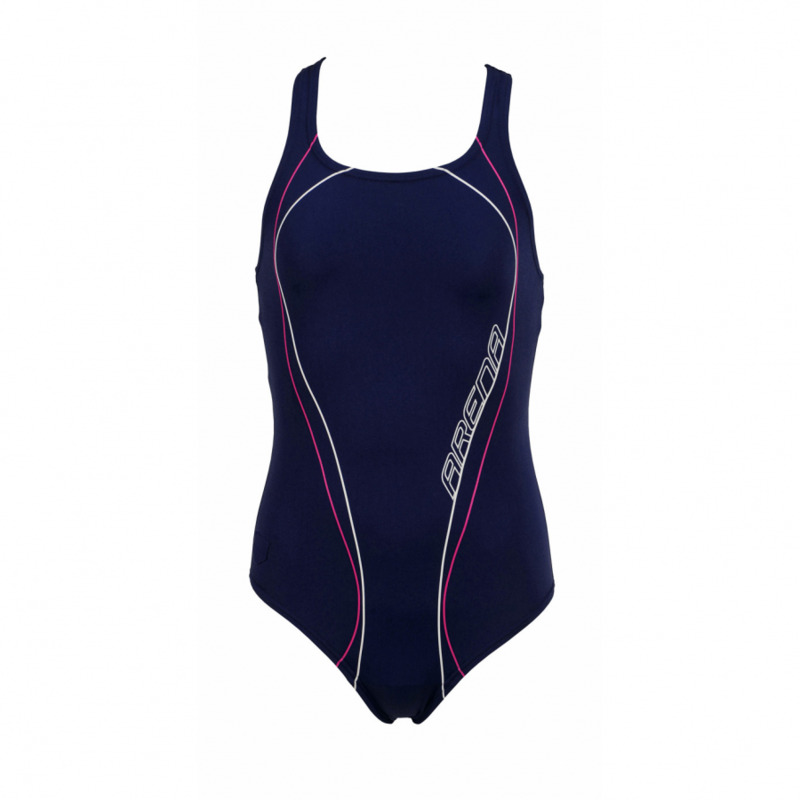 The blue Arena Meander girls swimming costume uses the Arena Waternity material which is chlorine and sunlight resistant. 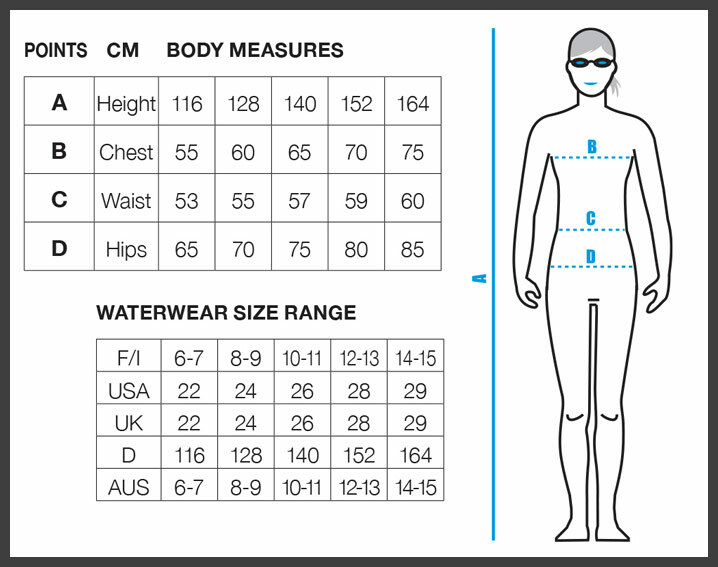 This longevity makes it perfect for regular swim training. It has a ‘pro’ style back which is highly flexible and suitable for all strokes. 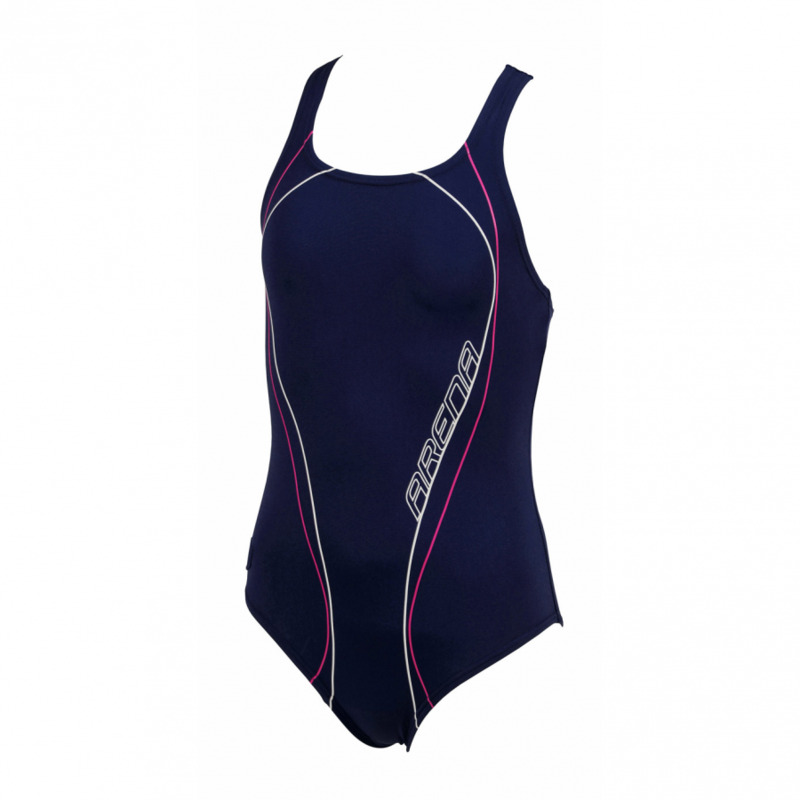 The Meander blue junior swimming costume features pink and white line detailing and has the Arena logo on the back.